Slow progress is being made on our house. We had a big day last week with friends and family to help us to get 4m of concrete into our pier footings by wheelbarrow. 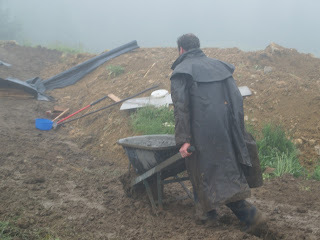 It was hard work, as the night before we got a heavy downpour, which turned the site into mud. It didn't take too long to get done, and everything went smoothly. We have since recieved the first load of our timber for the house, and have been working out how to manouvre it around (its very heavy! ), and how we will get the posts and beams up into position. Feeling more confident about this after a bit of a practice go. 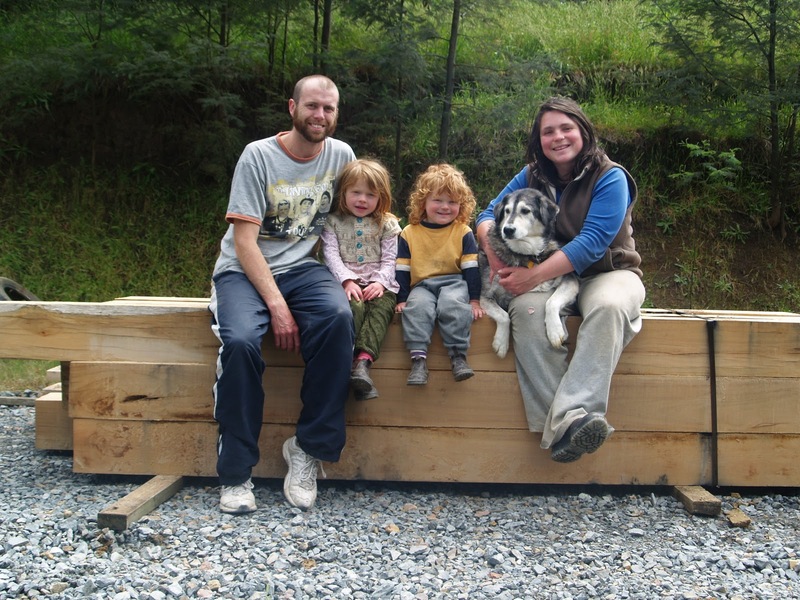 we are pretty excited by our timber! 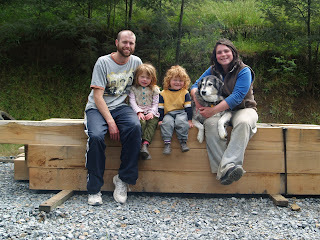 Although I am going to keep posting here about the house building progress, I have started another blog where I will go into more detail about each step of the way, as well as post informative articles and information on sustainable building, strawbale building etc. I will be posting lots more photos on that blog of the whole process.